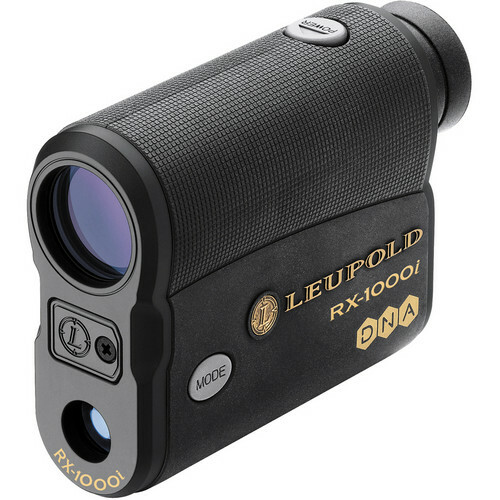 The black 6x22 RX-1000i Laser Rangefinder from Leupold integrates a 915nm Class I IR eye-safe laser into a fully multicoated roof prism monocular to make an accurate and versatile optical system. 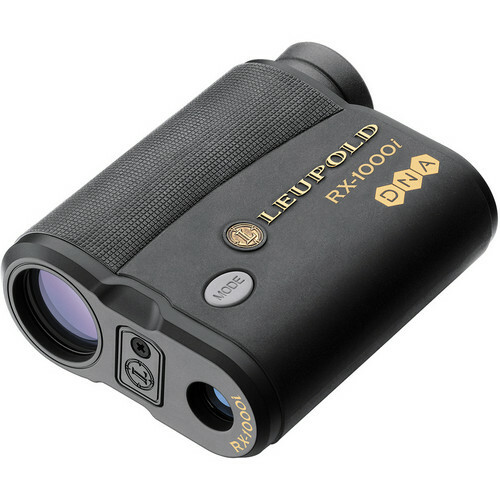 The rangefinder features Leupold's Digitally eNhanced Accuracy (DNA) system to provide precise range calculation. The DNA algorithm provides ranging accuracy of up to 1/10 of a yard. 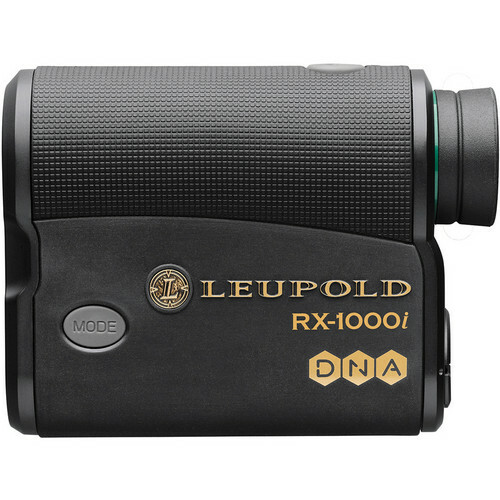 The quick set menu makes the rangefinding, operation modes, and display options quick and easy to change in the field. Three different reticle patterns make acquiring and tracking targets easy and precision ranging simple. Low, Medium, and High display intensities enable it to be tailored to the lighting conditions. Single, continuous-scan, and last-target modes offer multiple ranging techniques depending on the situation. The battery will last through at least 10,000 measurements, and the battery-indicator on the OLED display constantly updates the power status. To conserve power, the unit will automatically turn off after 7 seconds.